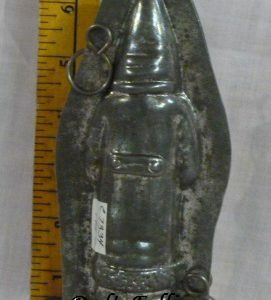 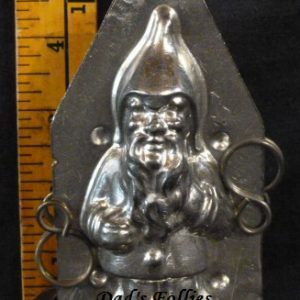 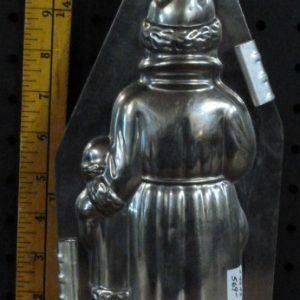 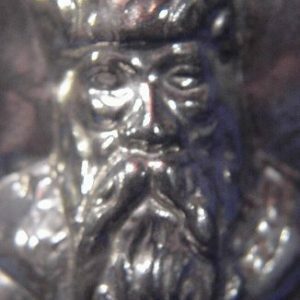 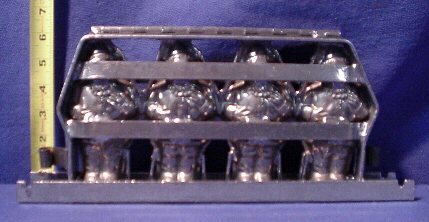 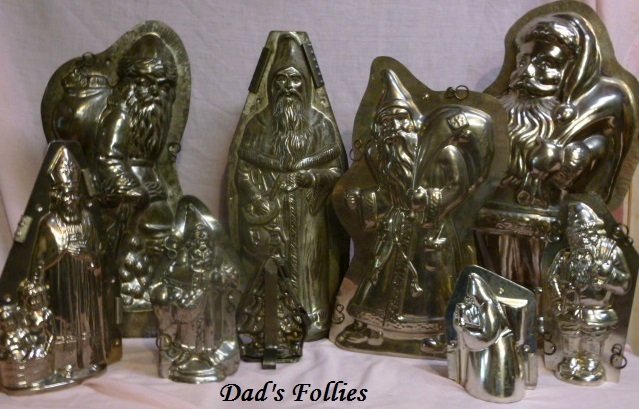 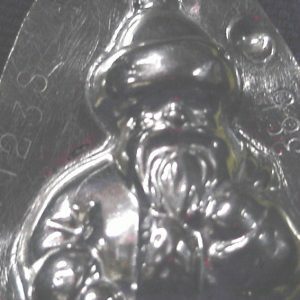 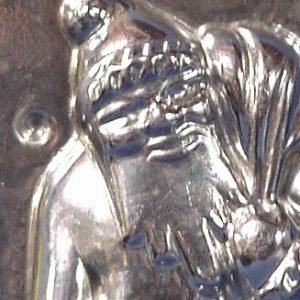 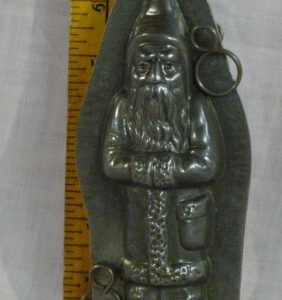 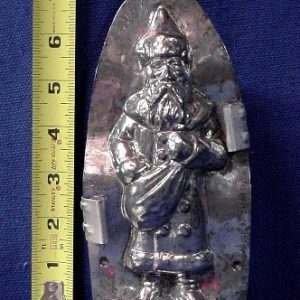 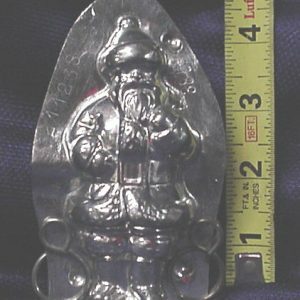 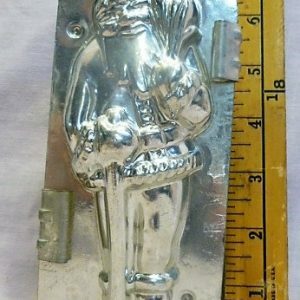 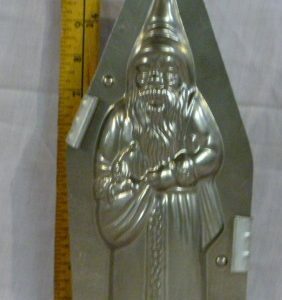 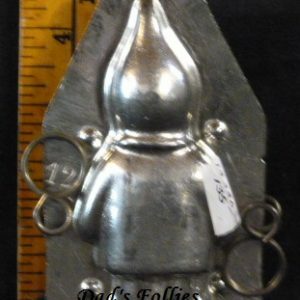 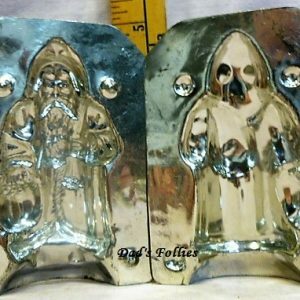 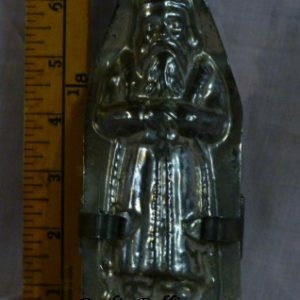 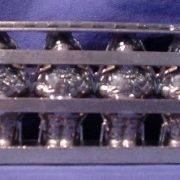 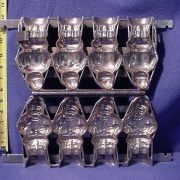 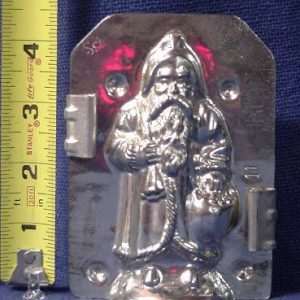 Comments: This is a folding mold of 4 jolly or American old Santa’s made after WWII. 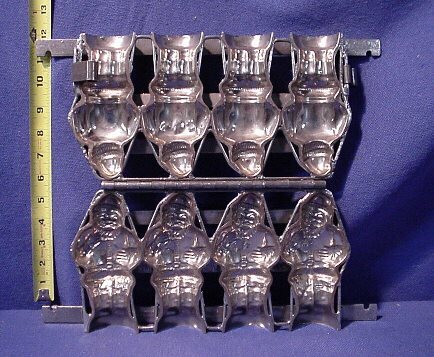 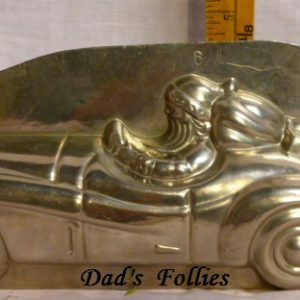 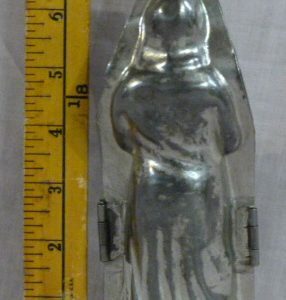 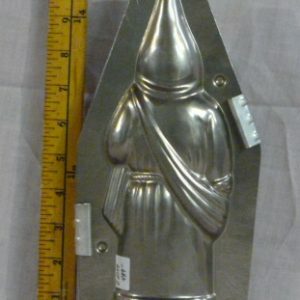 It is a great mold for display and molding 4 pieces at a time. 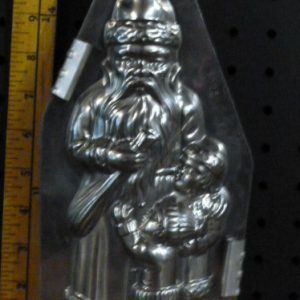 It is suitable for molding chocolate.